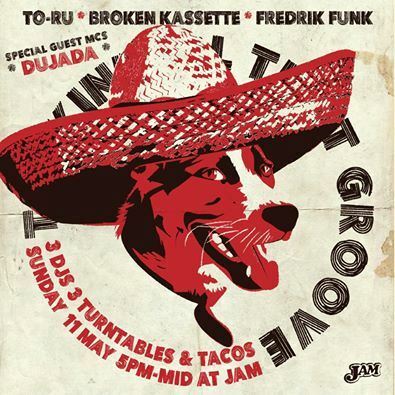 Talkin' All That Groove - Taco Edition! Hosted by three DJs TO-RU, BROKEN KASSETTE & FREDRIK FUNK. DUJADA (aka MCs Nutty Nut & Sinnamon) blew us away last time with their raw energy so we had to invite them back again. For this installment we will be serving Larb Soft Shell Tacos.